The husband said this Cranberry Pecan Chicken Salad was great. He even ate the leftovers for lunch the next day! It looked really good! And, easy, I bought a rotisserie chicken from the store and used that. And, the whole chicken was only $5; a pretty good deal! All I had to do was clean the chicken, shred the meat into the bite sized pieces, and then do a little mixing. Like I said, easy! 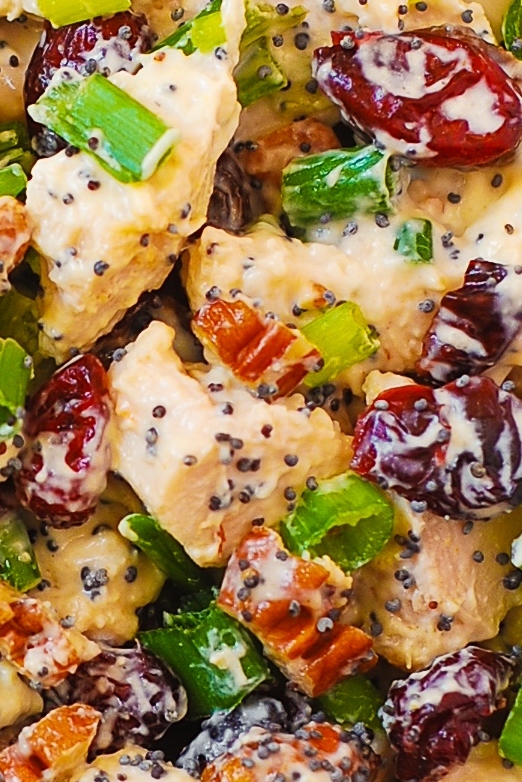 Cranberry Pecan Chicken Salad with Poppy Seed Dressing – this is really one of the best chicken salads you’ll ever taste! The homemade, easy-to-make poppy seed dressing makes this salad quite special. Give yourself and your family a treat – scroll down to the recipe and make this salad! Not only is this salad great with chicken, it will also work great with leftover turkey meat, since Thanksgiving is coming up! 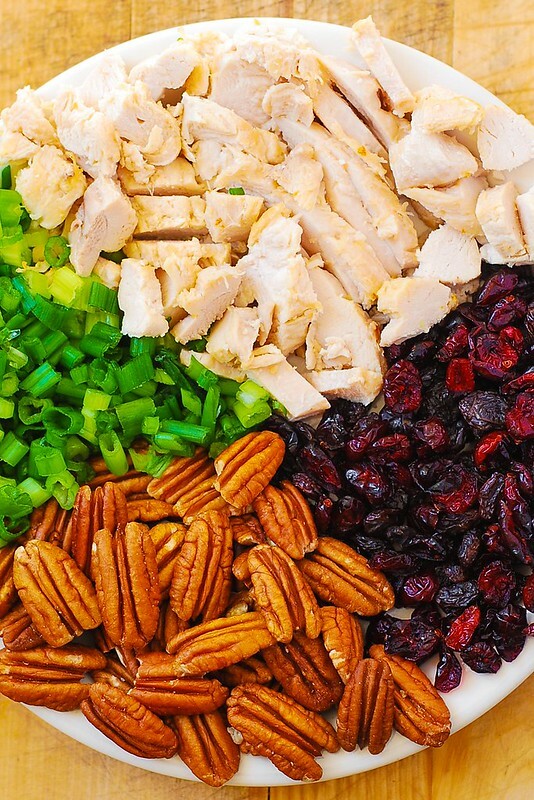 The salad has only 4 simple ingredients: cooked chicken, dried cranberries, chopped pecans, and chopped green onions.